Oakland A's College Bound Night! Nominations are Now Being Accepted!!! The Oakland Athletics, in partnership with The Concerned Parents Alliance/College Bound Programs, The East Oakland Youth Development Center and The Greater New Beginnings Youth Services are proud to present the Inaugural College Bound Night on April 17, 2019! NOMINATIONS ARE NOW BEING ACCEPTED FOR THE FIRST-EVER OAKLAND A'S ALL-STAR ACADEMIC SCHOLAR TEAM!!! Scholars must be in the 6th - 12th grade, have earned a 3.0 or higher overall grade point average and available to attend the April 17th College Bound Night! The College Bound Night includes induction into the 2019 Oakland A's All-Star Academic Scholar Team and recognition of their parents/guardians before and during the April 17th A's vs. Astros game. All selected scholars will earn complimentary tickets to the game. If you are a non-profit, school, school district or organization, please click on the link below and nominate your scholars TODAY. The deadline to nominate your scholars is March 22, 2019. Please click on the "Nominate Your Scholar" link below. 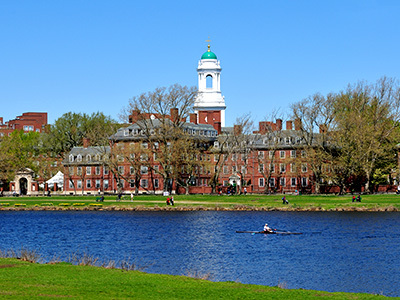 College Bound offers customized college tours throughout the year. 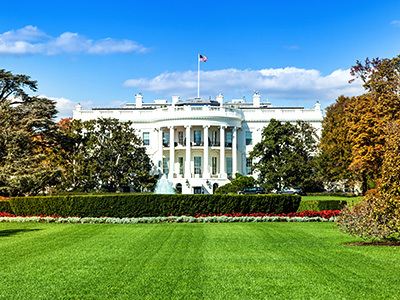 Thus far, College Bound has toured over 300 colleges and universities as well as visited political venues such as the Washington D.C., including the White House, and the California State Capitol in Sacramento. This year, our tours are just as diverse and we plan to visit a significant number of institutions of higher education. Active and engaged scholars and their families have the first priority to attend these tours. Non-refundable deposits will be required. Our College Bound tours are customized and designed for our scholars and their parents/guardians and/or responsible adults. We also open the college tours to family and friends of like mind. A $200 non-refundable deposit is due in January and those committed to attending work together and help families fundraise and/or seek sponsorships. 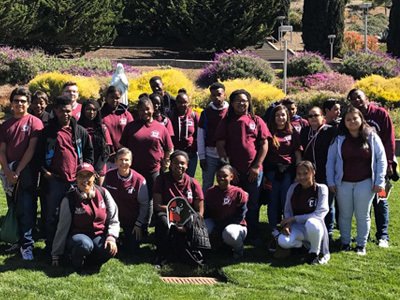 NORTHERN CA COLLEGE TOUR - Please consider joining us for our 2019 Northern CA College Tour. This customized tour will visit UC, CSU and private institutions in the Northern CA areas. This tour leaves from the the San Diego area. COST: $900 which includes hotel, chartered bus, daily breakfast, customized college tours, networking, fun activities, CB t-shirts and lots of fun! SOUTHERN CA COLLEGE TOUR - Please consider joinng us for our 2019 Southern CA College Tour. 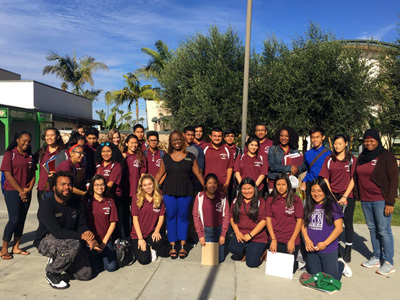 This customized tour will visit UC, CSU and private institutions in the Southern CA areas. This tour leaves from the Tracy area. Please email collegeboundprograms@gmail.com for more information. Community Service is an integral part of the College Bound programs. Each scholar is highly encouraged to give back at least 100 hours per year. Community Service activities and/or events are announced during the CB monthly workshops and/or provided by our CB Officers via our communications tool. Print the community service form, fill it out and return to the College Bound Community Service Coordinator.